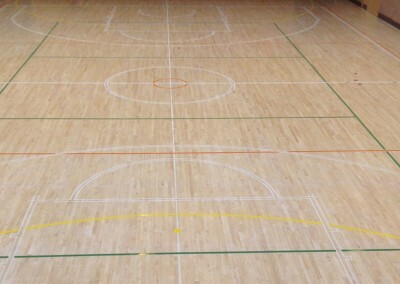 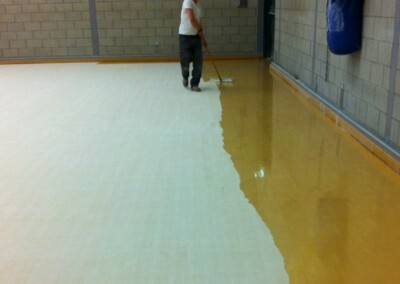 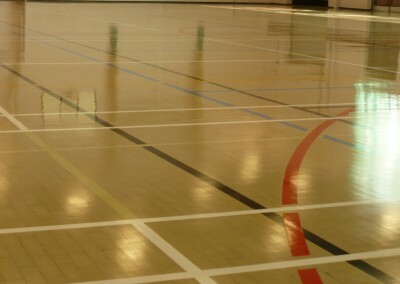 Mitchell Flooring specialise in sports line marking services for Gyms, Health Clubs, Schools, Colleges and Universities. 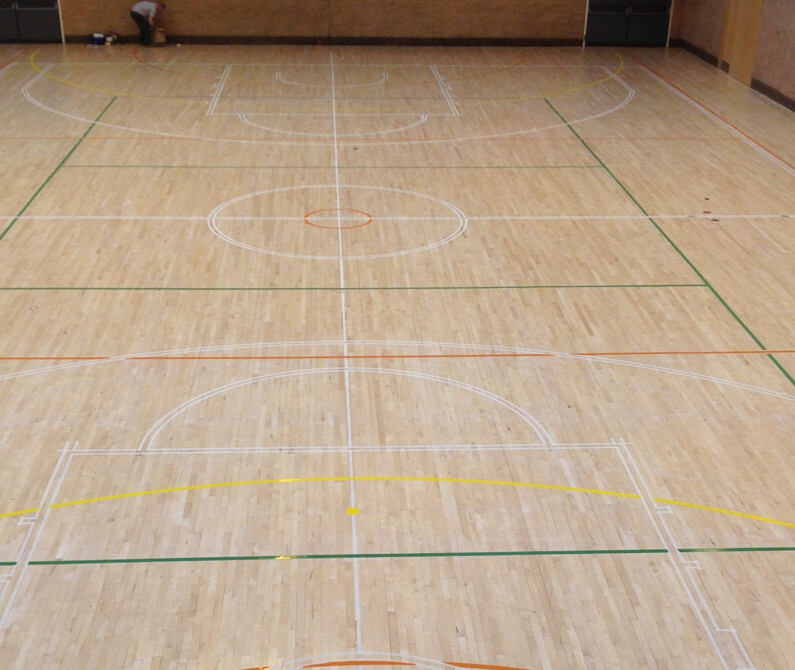 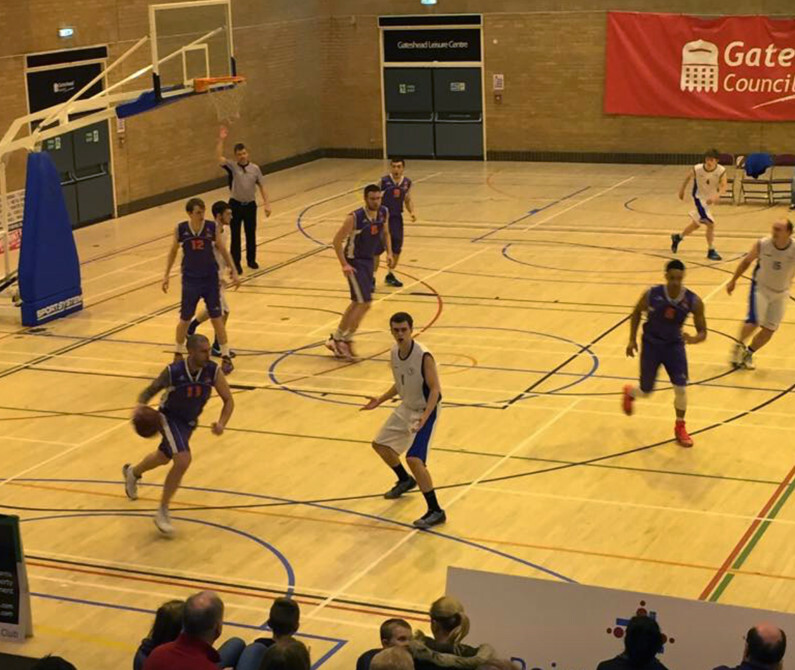 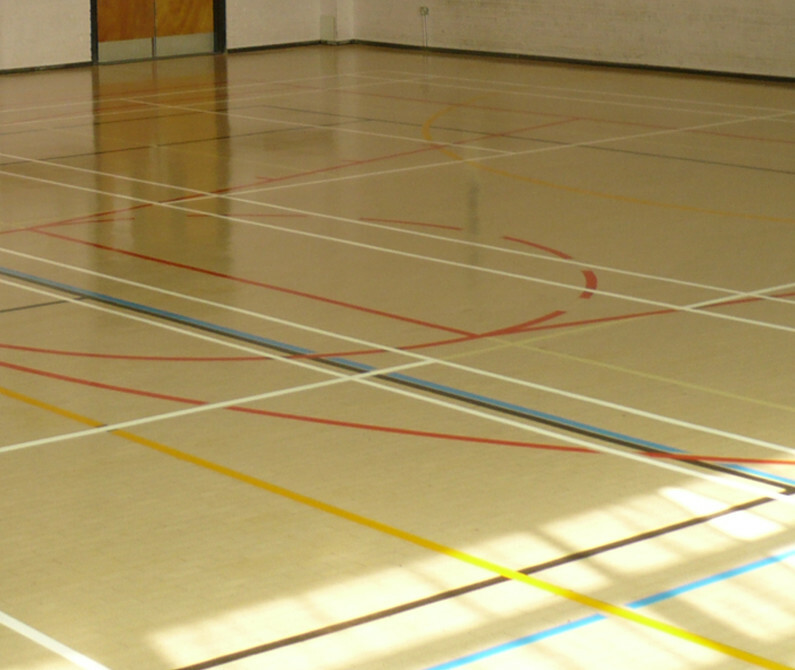 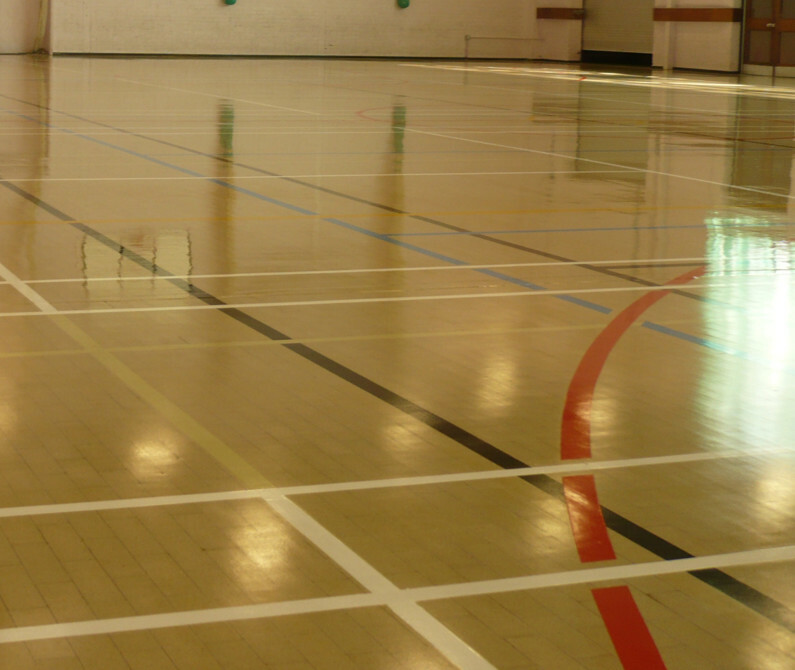 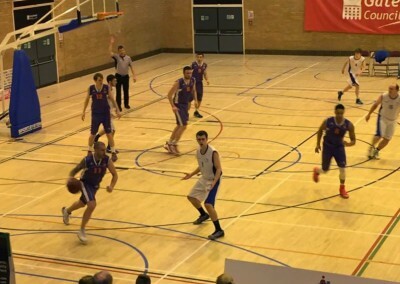 As well as sports hall line marking, our commercial services include sports floor sanding, school floor sanding, football pitch line marking, Granwood sports floor refurbishment and maintenance. 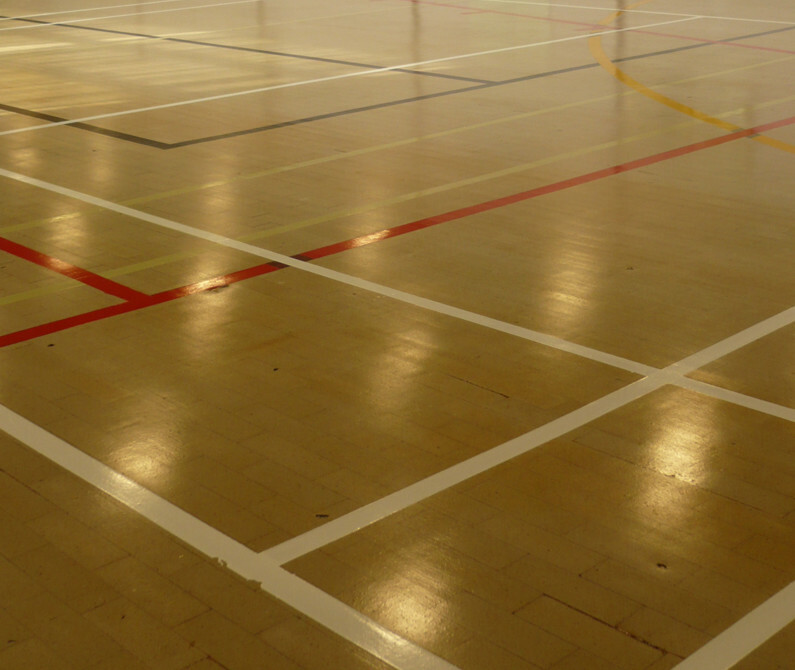 We do court markings for standard Badminton courts, 5-a-side Football pitches, Basketball, indoor Hockey courts, Netball, Volleyball and Tennis courts, all official courts are completed to Sports England standards. 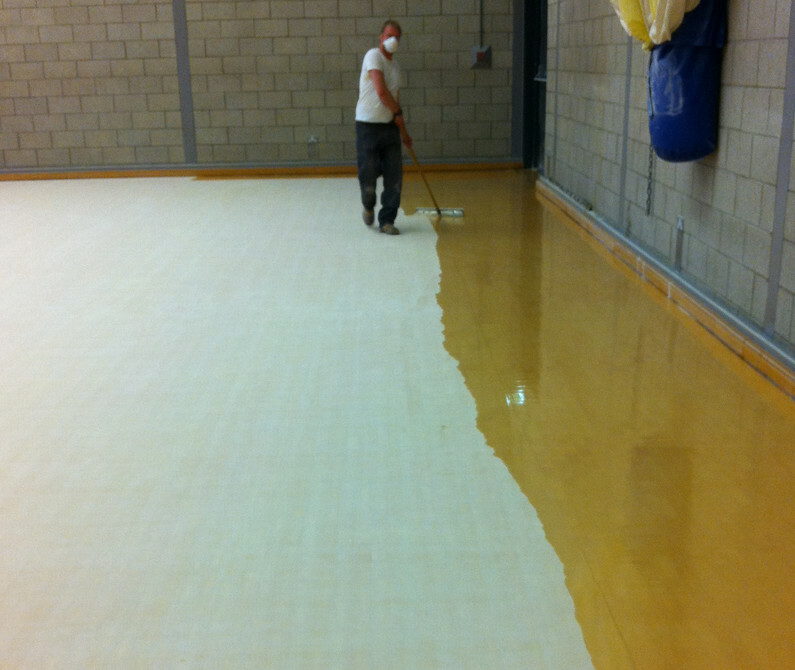 On top of our sports line marking services we also do refurbishment of sports floors including squash court refurbishment. 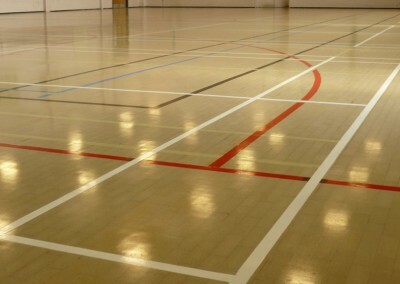 Professional, efficient and friendly service. 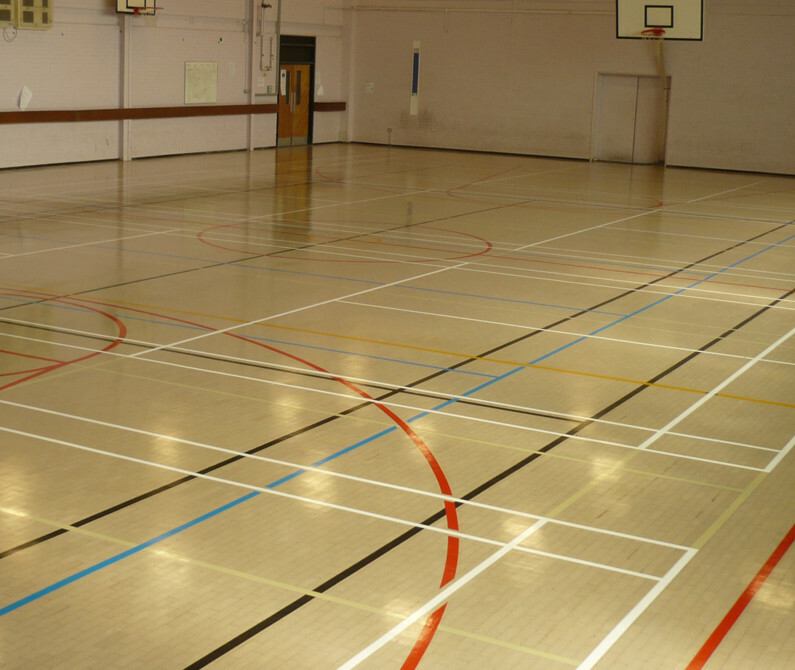 Excellent quality of work, have worked for us in both domestic and commercial environments, particularly Newcastle University. 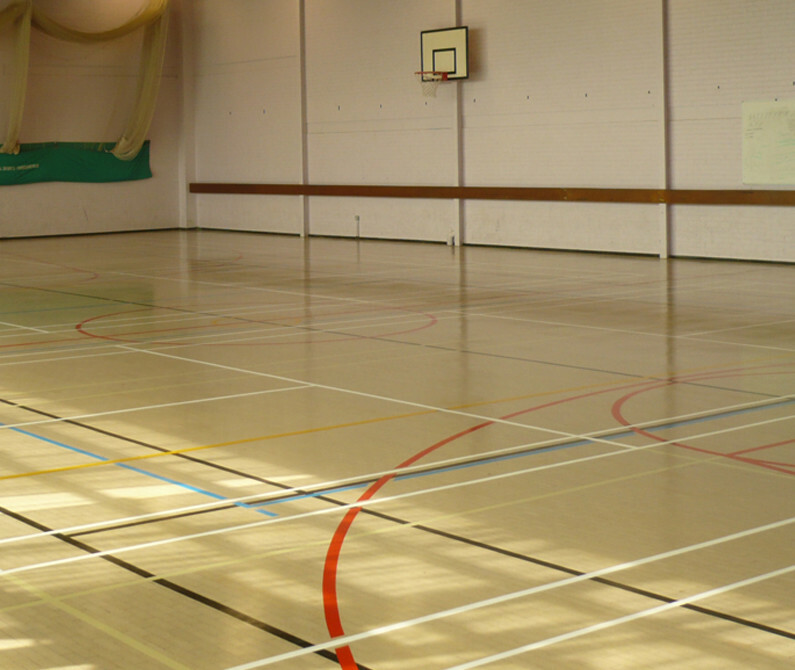 We would recommend their service to anyone. 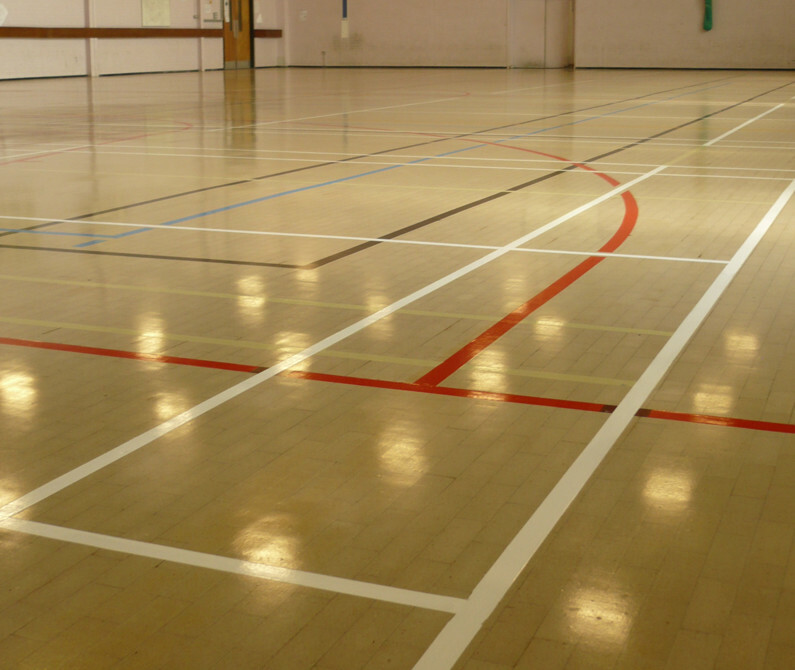 As an operator of bars and restaurants our appearance is paramount which is why all our timber floors are maintained by Mitchell Flooring, resulting in restoring our hard worked surfaces to their former glory. 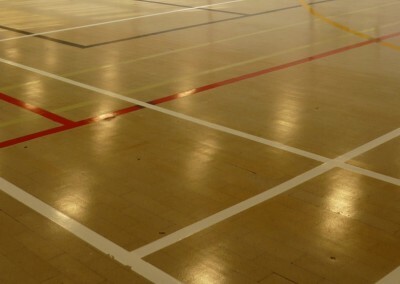 Of equal importance to the quality of their workmanship has been their ability to minimise interruption by carrying out the work at unsociable times. 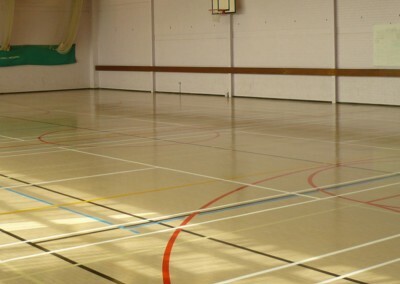 All of which has been done without concerns about the safety of our staff or worries about security and/or stock. 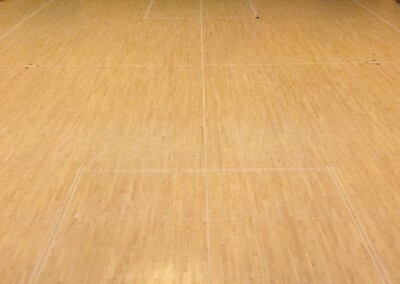 To sum up we have received total peace of mind. 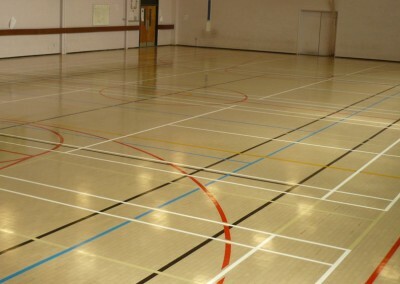 We were very pleased with the work that was completed in our Sports Hall. 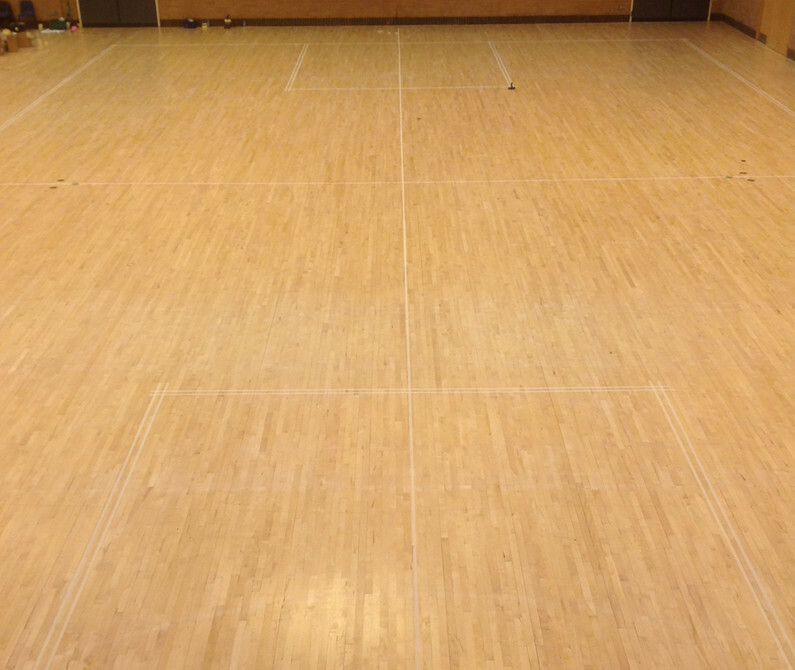 The floor was sanded and sealed and it made tremendous difference in the appearance of the hall. 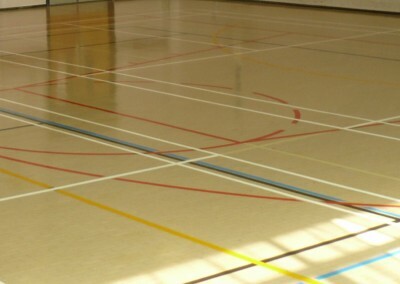 The staff were professional and left the area clean and tidy.